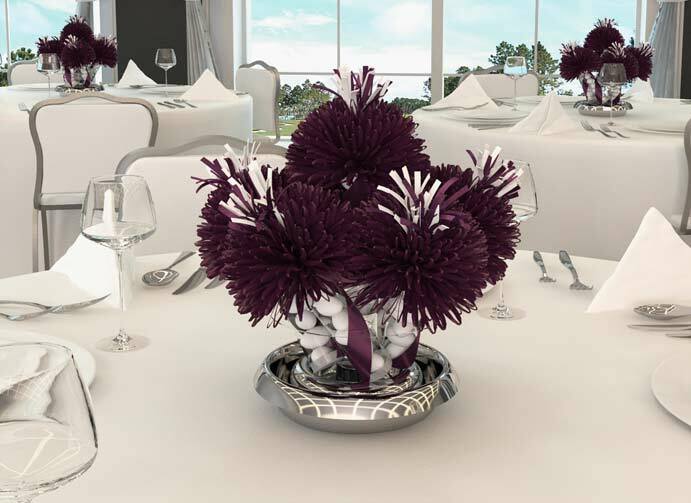 Our beautiful and fully customizable Centerpieces are handcrafted based on your personal needs. 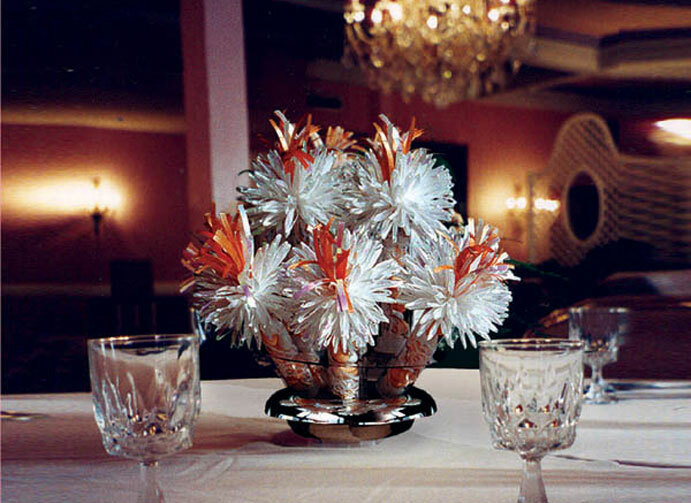 Our one of a kind Centerpieces have appeared on the tables of the Miss America Pageant, the U.S. Olympic Committee, many Fortune 500 Companies, and Government Events. 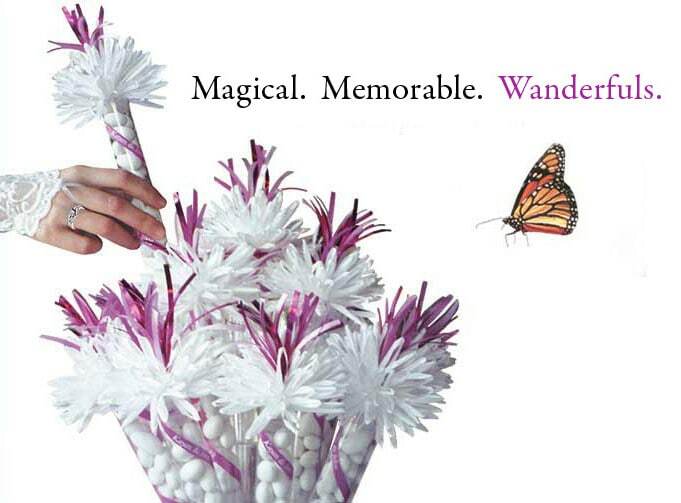 Your Wanderful Centerpieces will express the mood and theme of your event. 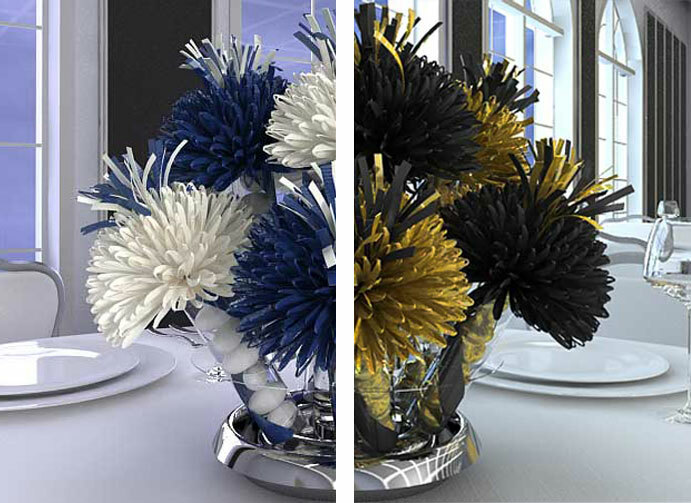 You choose your colors, your candy filling, your imprinting of the ribbon and any extras that will allow your centerpieces to be the highlight of the party. 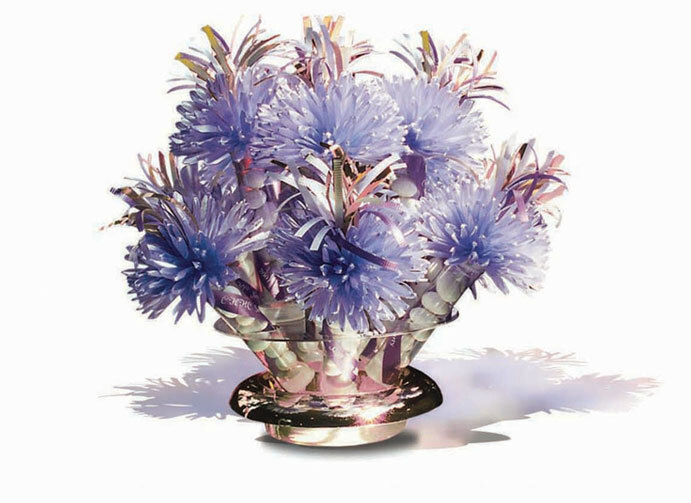 Your centerpieces hold from six to twelve individual party favors which can be filled with your choice of gourmet candies. What are Wanderfuls great for? 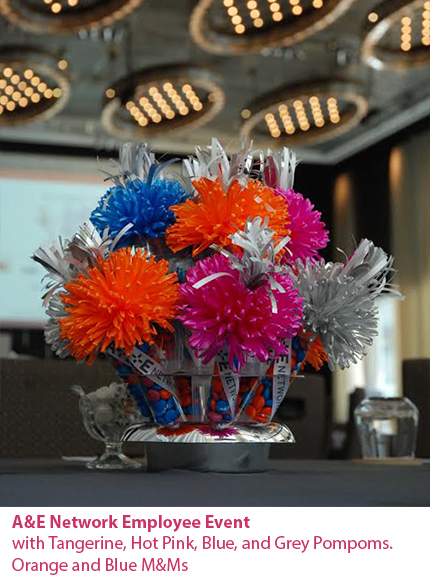 Award Ceremonies, Corporate Parties, Sales Meetings, Alumni Events, Ceremonies, Themed Parties, Banquests & Galas, Product Launchers, Fundraisers. What if you want to design your own?